We are so fortunate to be part of such a warm, caring, and giving community, and would like to invite you to participate in a special card drive to help bring some love and happiness to others! Mother’s Day and Father’s Day are approaching, and this can be a difficult time for seniors who are in nursing homes or shelters. We want these important people to feel loved, celebrated, and honored, and we need your help! We would love for you to use Altenew products, but of course your cards may use products from any companies! 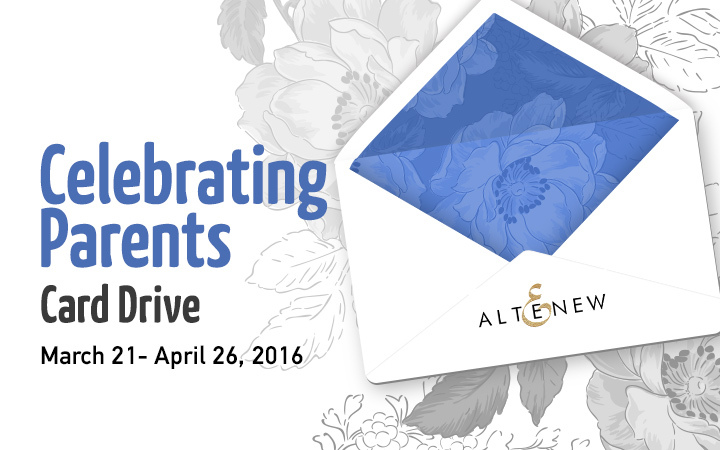 If you have any questions, or would like us to send cards to a local shelter or nursing home near you, please email support@altenew.com. 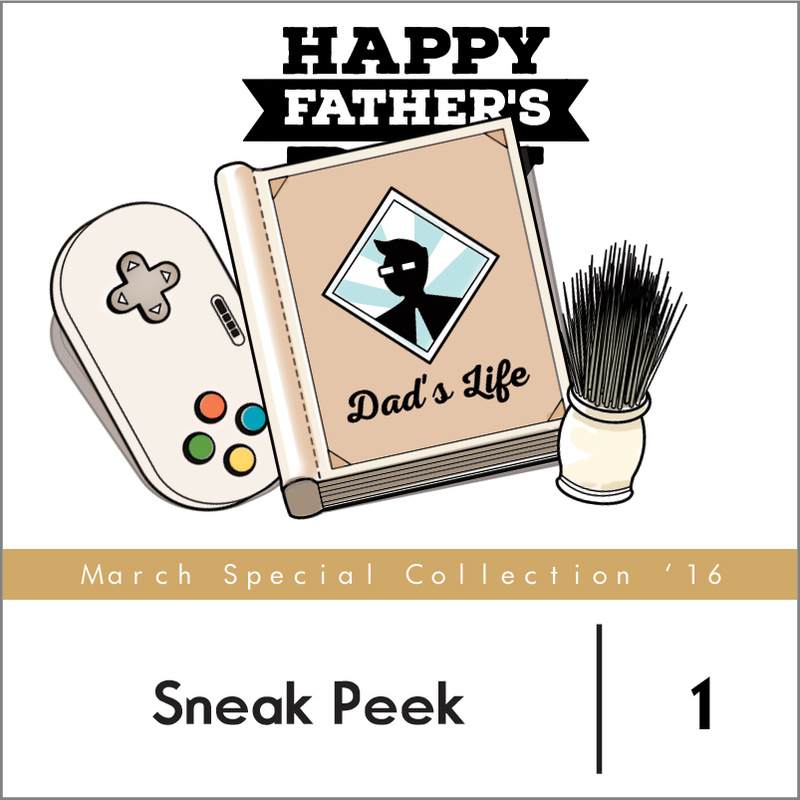 These stamps will be released on April 4th, and 20% of the profits earned by Father’s Day will be donated. *These stamp sets were designed specifically for the Celebrating Parents Card Drive, and 20% of all profits will be donated to an international charity organization, the Zakat Foundation. The donations will support seniors. 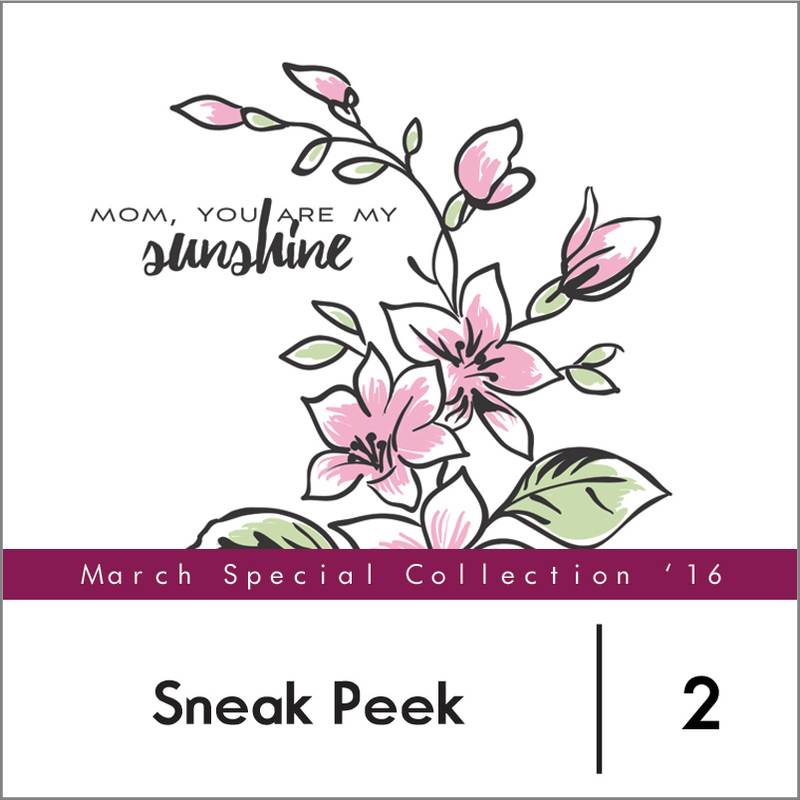 To celebrate the card drive and our special release stamps, we are planning an inspirational blog hop, so stay tuned! Oh my aching wallet lol! Everything Altenew comes out with is so awesome. This card drive is so thoughtful and I’m excited to participate! So are the cards Coming from us? Is that what you mean by saying sign it? I don’t mind. I don’t have a mom any more she died 2 years ago which is why I am interested in this card drive. Hi Rachael, we are sorry for your loss. Yes, we encourage you to hand-write a simple message and your name inside the card so that a recipient knows where it is from. You can leave it blank if you want. Thank you! Hi Asmita, Everyone worldwide is welcome to join in this card drive. Thank you! Do you have to use Altenew Products? Hi Rowena! You don’t need to use Altenew products to participate, but we’d love for you to use them if you have. Thank you! What a lovely idea! And I have to say the florals are beautiful and love the generosity of Altenew for your prize offerings and donation :-) Yay for Altenew! I love this idea!!! There are so many programs like this…for the verterans, St. Jude’s, etc. I’ve wanted to participate in something of this nature for far too long. Now is the time and I absolutely applaud Altenew’s altruism. Cute releases to come too. Thank you for such beautiful and quality products. This is an amazing idea.Im a retired administrator and I used to give all my residents cards.Some would cry.This just tickles my heart with joy. Thanks so much for sharing all of this info for this card drive…it sounds great! Hi, Presently, I supply cards for every occasion to the seniors facility in my area. The residents look forward to receiving them. I would love to participate in your card drive. Every little bit helps bring a bit of sunshine to those that have done so much for previous generations. A wonderful idea! What an amazing idea! I lost my parents when I was young and have always felt left out during Mother’s and Father’s Day celebrations. Thank you for the opportunity to participate and express those sentiments to other moms and dads with the thing I love doing the most…making cards!!! Hi will these cards be hand delivered so they can have dimension or do they need to be one layer?? Thanks! I have a bunch to send. Hi Katherine, it’s totally up to you. Just make sure to include an envelope for each card you send. We’ll cake take of the rest. If you have further questions, please email us at support@altenew.com. Thank you! And it can only bring a little joy if not a lot to a lot of seniors in nursing homes who may feel forgotten.